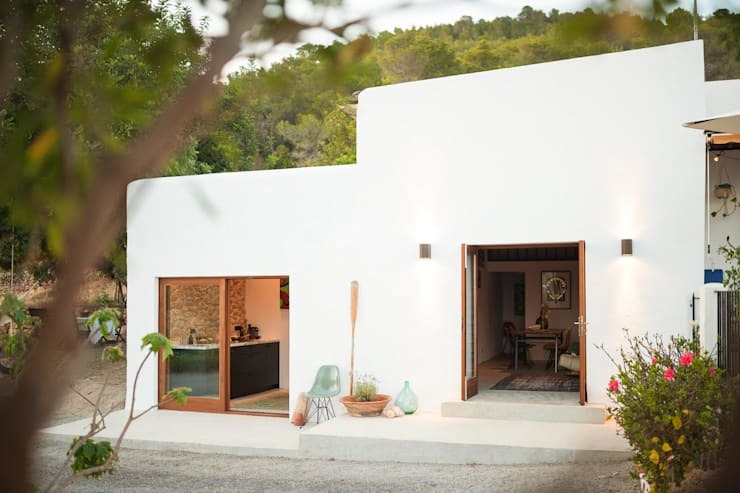 If you're a fan of houses that exude that laidback Mediterranean aura, or perhaps envy the vacation vibe of places such as Thunderbird in La Union or Balesin island, then we have the perfect abode for you — the Ibiza Campo Guesthouse! 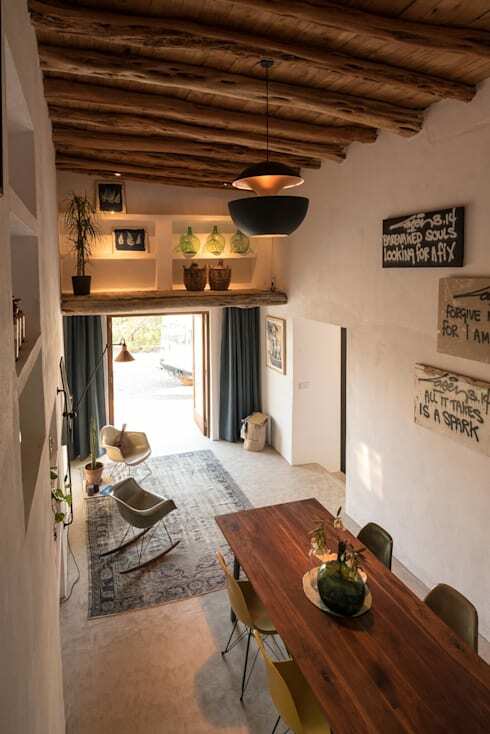 Located in Spain's Ibiza and built by the couple behind Ibiza Interiors for only €80,000 (or approximately ₱4 million) , this house will inspire you to love the color white, explore renovation, mix and match a myriad of surface textures, and embrace the island life! Go right ahead, soak it all up! Reminiscent of homes in Santorini, Greece, this 90 m² property attracts attention with its simple yet sophisticated white and boxy facade. Apparently, one might not even know that this was once a warehouse. Both entry doors here are of the glassy kind, but in different styles (one is sliding and the other features double doors). That's an interesting way of subtly mixing things! The owners also took the liberty of emphasizing texture and color by mounting wall lights on the surface, making the residence extra romantic at evenings. The double doors open to this minimalist loft-style space with a mezzanine for a cozy sleeping area. First of all, we noticed the intricate wood work of the ceiling and how it nicely complements this all-white interior. Taking care not to go on the dull side, a mixture of shabby chic furnishings that stick to a neutral palette garnish this space. It's oh so inspiring and literally at that because those painted wall pieces are an instant pick-me-up. Here's an alternate view of the living and dining area from the mezzanine. Depressions along the walls serve as shelves holding decorative pieces like potted plants, vases, and frame works. When hit with yellow spotlights, these exude an artsy gallery vibe especially because of the clean white background. Notice that this high ceiling gives space for these elevated e elements. To have some privacy, they also opted for opaque curtains to cover glass doors. 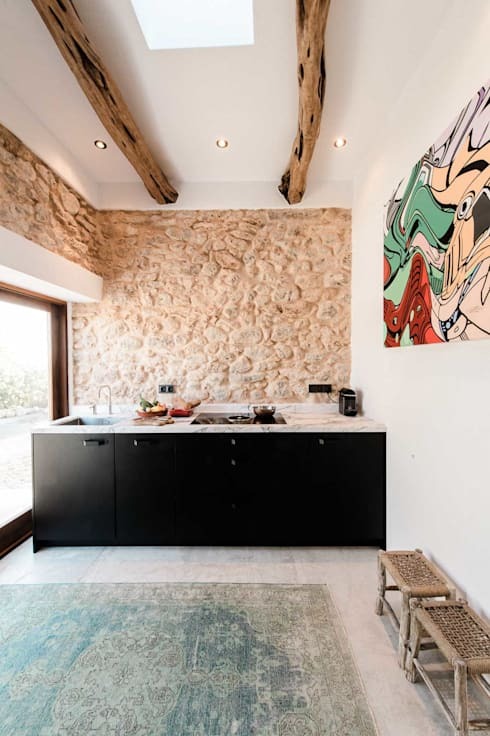 The sliding glass doors from the facade enclose this endearing kitchen which combines stone, cement, marble, and wooden textures around its interior. Arranging those like this with the help of good lighting-both natural and artificial-brings out the textures' beauty. Consult our experts to know more about wall surfaces and what goes well on them. On this area, we also like how the couple chose a brown to white ombre and then suddenly post this art work. The stone wall continues to the bathroom but it doesn't appear like a cave or something to that effect. Incorporating it with cement and wood at key areas such as the sink counter and the floor bring this bathroom back to the 21st century. 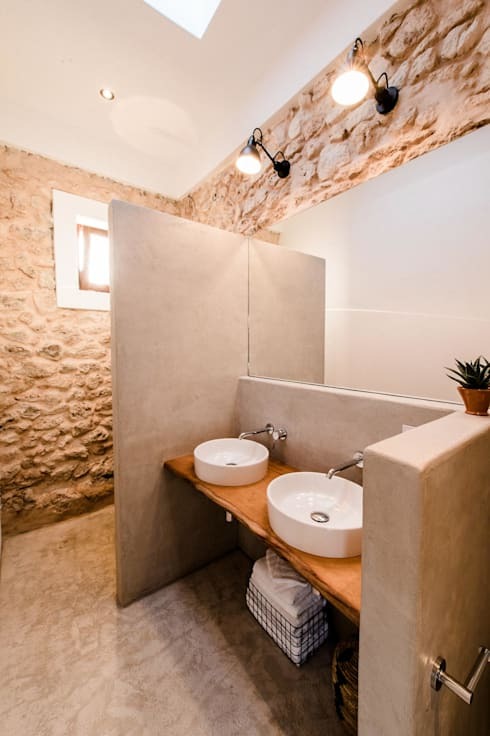 A lot of bathroom designs here at homify also mix those elements. 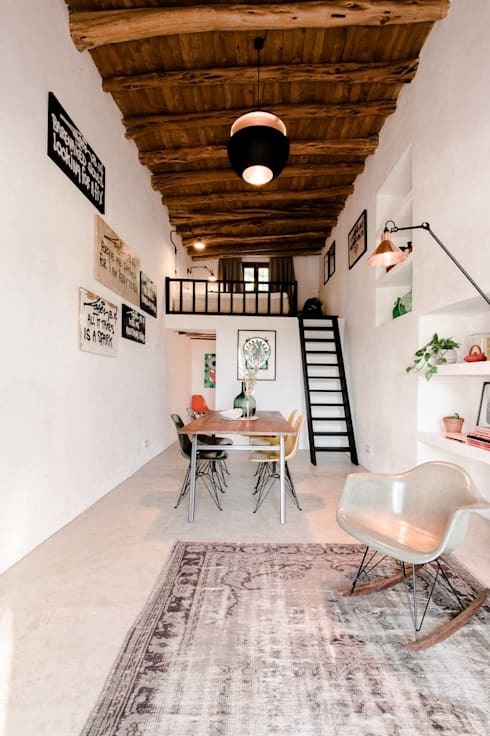 If that was interesting, be inspired as well by this beautiful Spanish colonial home. What do you think of this home? Let us know in the comment section!